Wow this week was a bit rough. From working a full week after two three-day weeks, to dealing with a teething son, I was more than ready for the weekend. Honestly, though, I cheated a bit and got another three-day weekend. I called off of work on Friday, but I can’t say I really enjoyed it because I was up half the night with Rowan, and I was not about to work an 8-hour day on <4 hours of sleep. 😴 That’s just asking for trouble! Fortunately, I was able to catch up on sleep… somewhat. 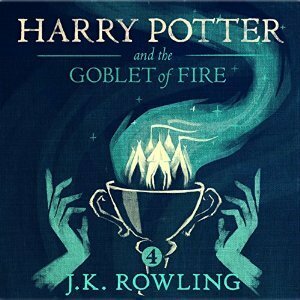 I was able to type out a few mini reviews and my review of the third Harry Potter audiobook (go me!!!) so I’m feeling pretty good and I’m feeling somewhat caught up. 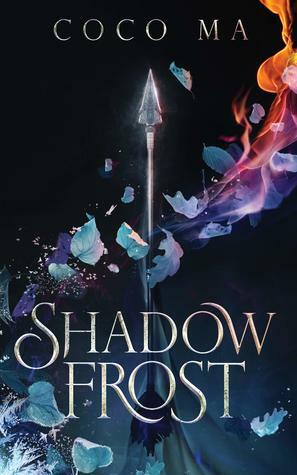 I’m working on my review of Girls of Paper and Fire and Just For Clicks, which I finished yesterday, so you’ll see those soon! This upcoming week: I’m planning on typing up a Top Ten Tuesday post this week, but I also have another side project: transferring my whole blog to adarkershadeofrosie.com! I’ve got to do a bit of research on how to do this the easiest and less painful way possible, but if you have any suggestions/tips/tricks, I’m all ears guys!!! I behaved myself this week. No new books. I may have made a mistake… My co-teacher told me this week that she finally started watching Game of Thrones and it made me want to re-watch the entire series from the very beginning. The final season will be out this year (some time in April) but I want to relive all of the epicness that happens in the first 7 seasons. Will this take me forever? Yeah, probably. The boyfriend and I also tackled yet another episode of Iron Fist. Meh. We ended last weekend with a trip to the zoo! It was lots of fun, and the Christmas lights were beautiful~ I hope that we get to utilize our membership more this year now that Rowan is a bit bigger. It was hard last year, too, because it was so hot a lot of the time and I didn’t want him to get overheated! We also got our first heavy snowfall later in the week. It was pretty coming down, but not while driving in it. And then… there was the dreaded teething nightmare we endured for the better half of the week. It didn’t hit us hard until Thursday night when Rowan woke up around 1:30 in the morning and would not go back to sleep. Lots of crying (from both of us) and lots of trying to soothe whatever the hell was bothering him. He had a fever – which at its highest was 101.2° – wouldn’t really eat solid foods, was extremely fussy, and obviously couldn’t sleep. I think we’re chalking it up to teething, but he also sounded really congested, so maybe it was a mixture of teething and sickness that really sent him off the deep end. What was your first book of the year? 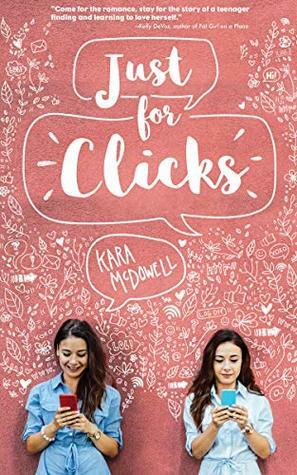 MY ANSWER: I technically first finished Girls of Paper and Fire this year, but the first book I started (and finished) was Just for Clicks by Kara McDowell! Rowan is definitely feeling much better this morning, but still seems a bit whiny and clingy. I’m just happy he slept better last night, because that means I slept better! Now I’m gonna kick up my feet with my cup o’ joe and finish watching this Game of Thrones episode! Poor baby. I hope the teething is over soon. I love your photos. That looks like a fun trip. Have a great week. Oh no, teething babies make my heart break. I dreaded my little ones teething thankfully they’re a little older now so now the “tooth fairy” is visiting. Reinforcements are always good, my mom and mother in law are still my reinforcements till this day. Your trip to the zoo looks so awesome! I haven’t been to the zoo in ages but I’d love to go sometime in the summer. This past week has been SO MUCH BETTER, thank goodness. It was a rough time, for all of us. He’s back to sleeping normal, I’m back to sleeping normal! Yay! We are so entirely lucky that my mom, and my boyfriend’s parents are no more than 5 minutes away.